The lovely certified personal trainer and I headed off island yesterday for an event called “Pop the Cork,” which was hosted by Cellar Door Winery, and was a benefit for Habitat for Humanity. And, with Boyz II Men headlining the event, how could we not go. After some brief errands this morning, we hopped on the boat and are now back. 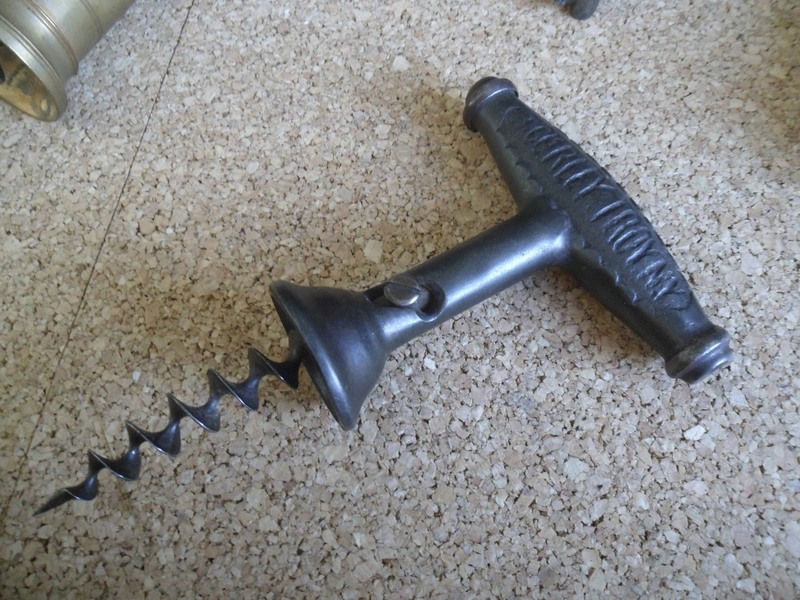 While I was waiting to help someone disassemble, move, and reassemble a new sleeper couch (something that apparently I am known for), I happened to find an interesting corkscrew listed on a non-eBay website. 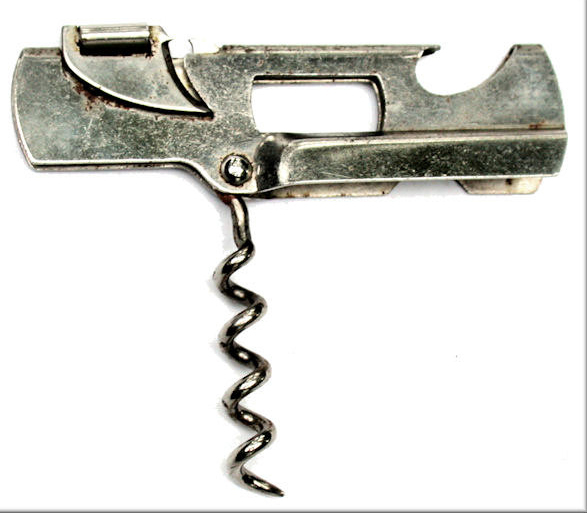 Not a terribly rare corkscrew, but definitely an interesting little multitool. After finishing the purchase, I did a quick search, as I had remembered that Don Bull had published something on a P38 corkscrews. And, after a quick search, his best 6 from 2005 came up, and there you see the same corkscrew. Definitely a neat little corkscrew to add to the collection! 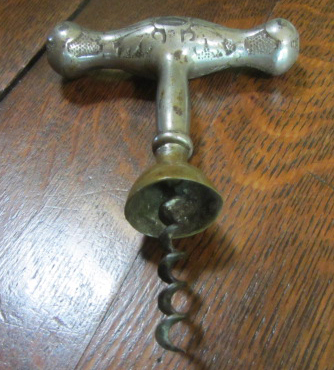 There have been many trades made between RL and I over the years, one of the first involved a Gundlach & Sons Frary corkscrew, which I had acquired from an estate in Oregon. RL coveted the piece, and I was willing to send it his way. As he since had gotten another, when we made another trade, the Gundlach was sent back to me. And, given my obsession with Frary, I was quite pleased to get it back. In still another trade, I sent him a Sterling handled Converse patent, and while it a escapes me what I received in return, both sides were happy. Well, mostly, as I would gladly take the Sterling Converse back should another trade happen. So, over the past few weeks we have been discussing potential trades, and the other day a deal was struck–and the (previously traded away) Sterling Converse has been re-traded and is heading back to the island, along with a Frary with bell. This morning started with a relatively early departure from NYC. However, no traffic, no delays, and a beautiful day to be driving the mini from NY, through CT, through MA, through NH, and ultimately up the coast of Maine–followed by trip on the boat to the island. The last few days were fantastic. Lots of good food, great wine, and fantastic company. Should you be in NYC, you should make an effort to hit the Antiques Garage, you would be surprised what kind of stuff might show up. And, of course, a chance to visit Andre’s Tavern definitely worth the visit! 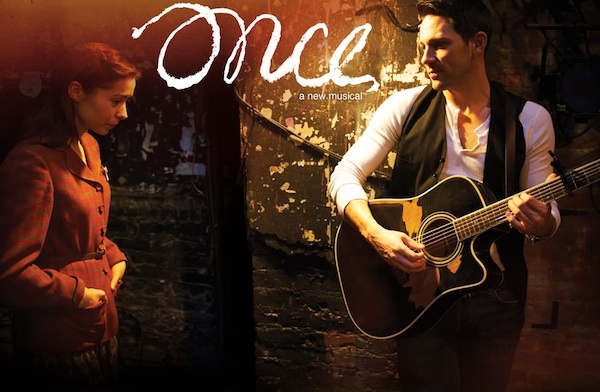 Of course other highlights included seeing the Tony Award winning musical “Once.” The show was fantastic, and definitely Tony worthy! (Yes, all 8 of them)! A word of advice, while we had terrific seats in the mezzanine level, given the staging, look for orchestra level seating as walking across the theatre, it seems like those particular seats might make you feel even more part of the bar within which the musical takes place. A fantastic few days, and the lovely and I look forward to the next adventure! The lovely personal trainer and I left the island on Wednesday, and headed down to the Boston area to visit friends. And, from there, we headed to visiting the puppies. And, it looks like, as this point, this is the one that will be coming home with us in 5 weeks. 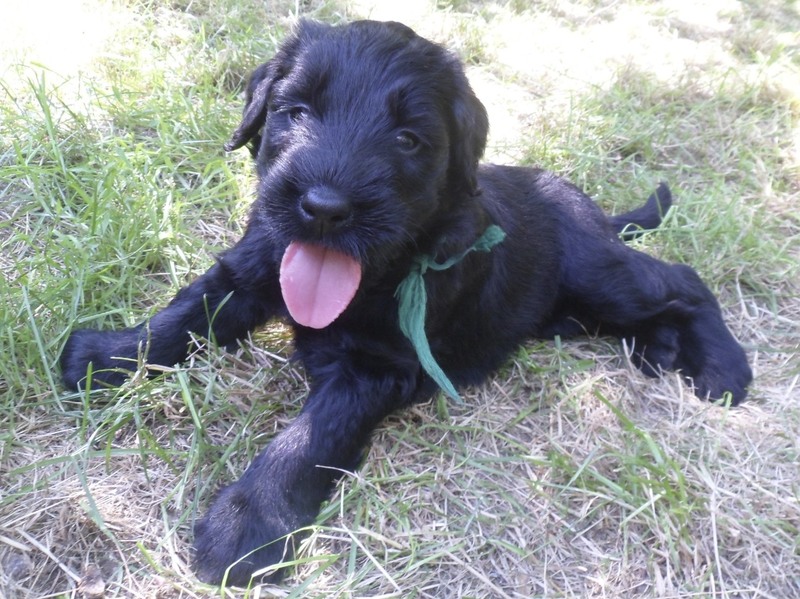 Within the Briard-dog world, when you give them a name, that name has to correspond with a specified letter of the alphabet. For instance, last year was a G year; this year an H year, and the following an I year. So… what H name would be appropriate given our corkscrewy focus, living on a harbor, and our love of food and wine??? More corkscrew (or puppy) news as it happens. Over a week ago, an auction came online–not eBay–that explained that there was an F.F. Adams corkscrew. I went to the auctioneer’s website and examined the images. I did see one that looked to be a corkscrew, although no screw was visible. I emailed the auctioneer for more photos, but none showed up. With one day before the auction, I grabbed the phone and called the auction folk. And, got a voicemail with an additional number to call. And, upon getting someone on the other line, it was explained that particular lot was still on the truck, and could I call back later. After getting the same someone on the line, they grabbed the bar screw and following my instructions examined the corkscrew to find that the helix was sharp. I asked if they were sure, and they indeed were. I emailed to thank them for the additional photos, and agreed to their bidding requirements, as I could not print, sign, and scan the item as they had requested, as Apple in their infinite wisdom when they released the Lion operating system decided that scanner drivers would not be included (but I digress, not that you didn’t expect that). Given the images, and knowing that I didn’t have an F.F. Adams signed bar screw, I put in what I believe would be a fair absentee bid. And, promptly went about pouring over Wayne Meadow’s book on Bar Screws, and trying to figure out what patent it was. I was thinking Hurley, but wanted to be sure. And, did find a similar one in Wayne’s book, and then after another search, ran into Andre Burgos’s new blog–mentioned yesterday. 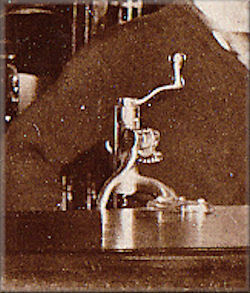 And, on his blog he has a great vintage image of a bar scene with the same corkscrew. And, he includes a close up. Seeing the images confirmed that this was indeed the Hurley patent. 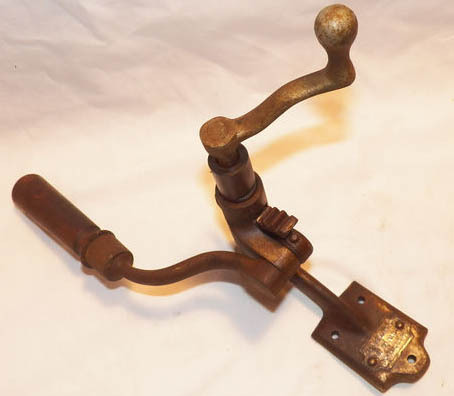 On September 7, 1886 John A. Hurley, of Erie, Pennsylvania, was awarded patent number 348,911 for his Cork-Puller, and said patent was assigned to the F.F. Adams company, also located in Erie. But, here is the problem…and, hence the waiting being the hardest part. The auction was held on the 16th, and there was no phone call explaining I was the winner. And, as of this moment, still no email or phone call explaining what the ending price was, what I owe, and how much shipping will be. Given what my top bid price was, even if it hit that, I know I got a fantastic deal. But, the anticipation is killing me. Did I get a Hurley patent bar screw for 25 dollars? 50 dollars? 100 dollars? I know that eventually, I will come to learn what the Adams/Hurley cost me, but I am rather excited to add a nice bar screw to the collection. I was doing a search for a particular corkscrew patent when I happened to run across a new corkscrew-ish blog! It seems our friend Andre Burgos, as of 10 days ago has been blogging on his new WordPress “Andre’s Tavern” site! At 10 days old, it has some cool stuff posted and you might want to check it out! Andre’s Tavern — you can enter from here! More corkscrews news as it happens, as I just downloaded the WordPress App on my iPhone!!! I have owned several Hollweg Patent corkscrews over the years, and it seems that if one wanted to try and acquire every variation of marking and size, you would have quite a collection. 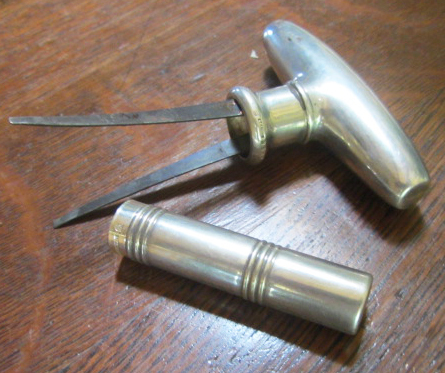 Brass, steel, Sterling (if you count the Napier examples) and ranging from 3.3 to 8.5 cm in size, with variations in the way the handled is scalloped, to ultimately the markings that can be found, the number of variations are amazing. I have owned the 1891 patent marked “THE HANDY,” “PABST MILWAUKEE,” several marked “PATENT APPLIED FOR / PATENT ANGEMELDET,” “HENRY BOKER,” the Napier example marked “NAPIER STERLING PATENT APPLIED FOR,” C.T. Willet’s version marked “CTWS FLEXIBLE” and one or two others that I have since forgotten. While I am pretty sure that this will not develop into some odd obsession with collecting an example of every advertisement or marking, and every variation of size, material, maker, etc. 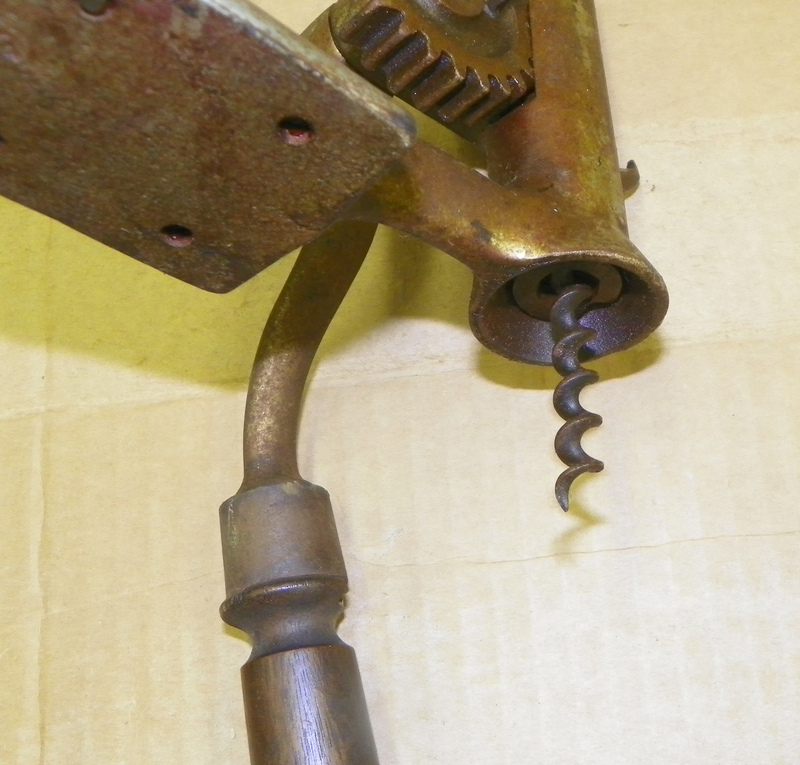 of the Hollweg corkscrew, it would be interesting to see how many variations are out there. How many different Hollwegs do you each have? As mentioned a while back, I managed to procure an ivory handled signed. R. Murphy Boston corkscrew, and it will definitely be making the best 6 of this year. After posting this picture, and a few others in a previous blog, Gary emailed to explain that the handle was Walrus Ivory. 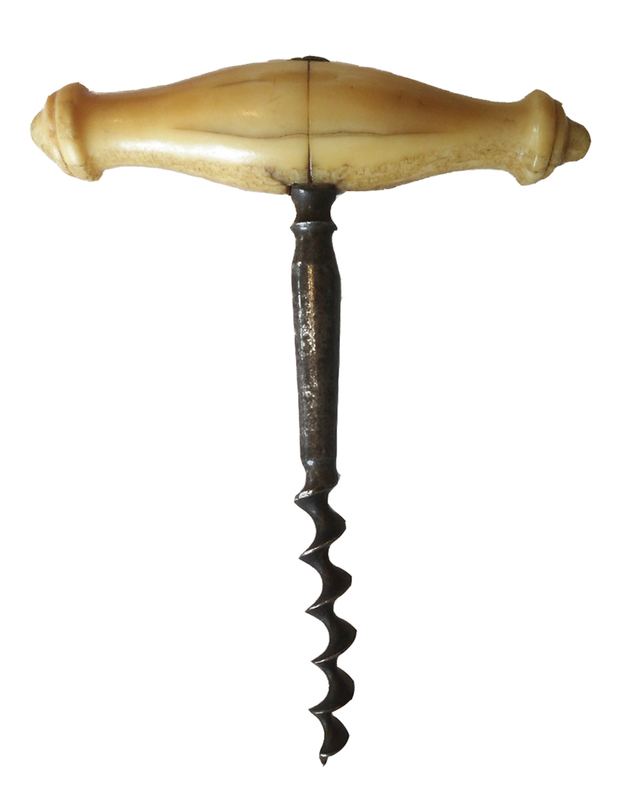 Even with the chips to the handle, I am thrilled with the addition as I have a thing for Murphy corkscrews, and an Ivory handled Murphy was mentioned in Bob Nugent’s article on Murphy (available on my website). In conversation with KC at Brimfield in May, he knew of Nugent’s Ivory Murphy, and wondered if somehow when Nugent’s collection had been split up and dispersed, that somehow the one in my possession was the very same corkscrew from Nugent’s collection. When I got back from Brimfield, I emailed the person from whom I acquired the Murphy, and after hearing back, it seemed unlikely that it would have come by way of Nugent, to those who purchased his collection, then sold to a dealer from Texas, and ultimately sold to me. Still…anything is possible. Recently, I managed to procure a few documents relating to corkscrews, and one of which happens to be a reference for Bob Nugent’s Best Six from 1984, which has, amongst the other corkscrews, an Ivory handled Murphy direct pull, front and center; Nugent’s doesn’t seem to have the same chips or discoloration to the handle (which of course, I would refer to as ‘character’). Just for your edification, in Nugent’s 1984 Best Six, he explains, Our California members will say, “look at that Will & Fink – or is it a Michael Price?” The handle is walrus ivory, but the handle is marked R. Murphy/Boston. 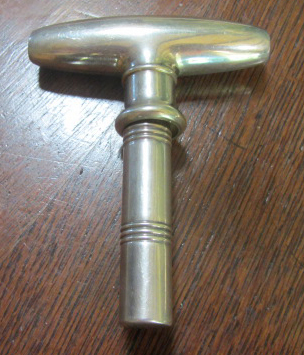 I have another with the exact same handle in wood. 11.5 cm by 10.7 cm. Of course, I would love to add the ivory handled Murphy that belonged to Nugent as well. If you have it, drop me a line, perhaps we can work a trade : ) If you have an ivory handled Murphy corkscrew that didn’t belong to Nugent…you can email also!!! 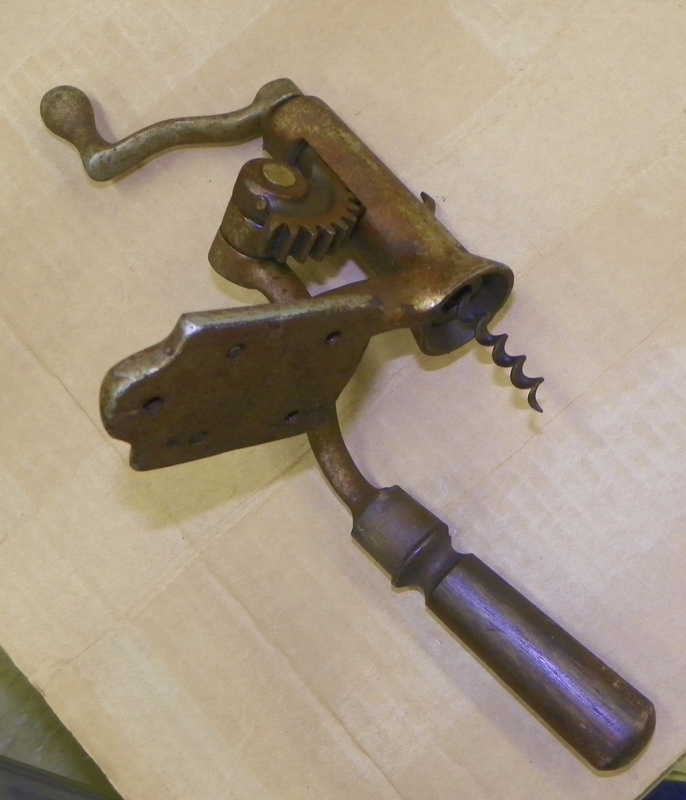 Not so long ago, I picked up an embossed handled Curley patent corkscrew, and put in the corkscrew case. However, given that I already had this particular corkscrew, I figured I would ultimately use it in a trade with another collector. And, while having a phone conversation–regarding that same Curley—I took it out of the case and looked closely at it. 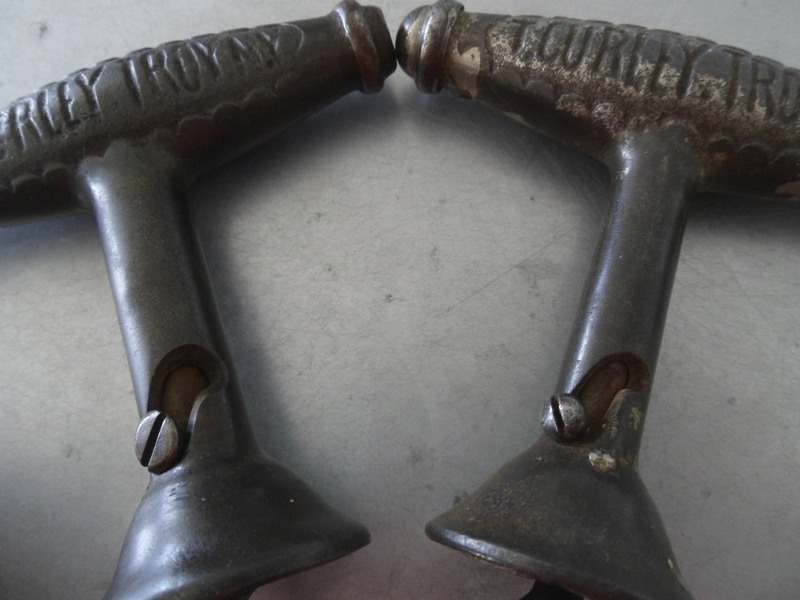 So, RL and I are discussing the potential trade possibilities, and I happened to pull out the other embossed handled Curley patent corkscrew and put the two next to each other. They aren’t the same after all! While they are indeed very similar the shank on one is a great deal bigger around than the other. The bells are slightly different shapes. 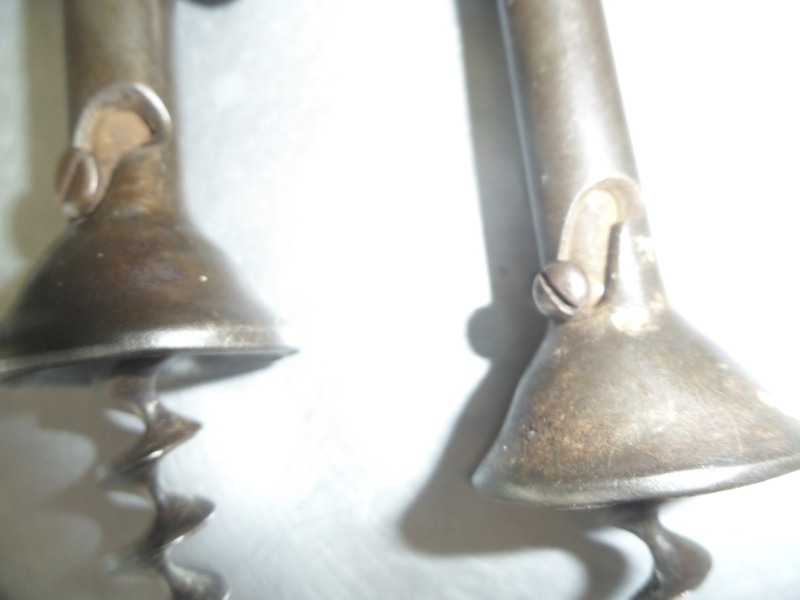 The screws are a different size, and even the slots which allows the bells to rise have a slightly different design. I explained this to RL, and so we started to discuss other trade possibilities, as I am a little obsessed with variations of the “same” corkscrew, and this will remain in the collection after all. 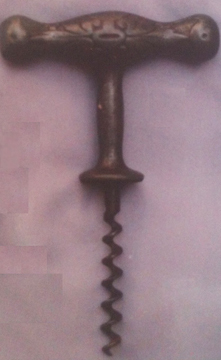 If you have a Curley corkscrew with which you would like to part–drop me a line! I am sure I have something that actually is a duplicate, that will find a nice place in your collection! How should I put this…? You know when you are driving down the street, and see a sign for a garage sale, and you make the turn and head to the appropriate house, and upon seeing the myriad of offerings placed on the lawn, driveway, etc., you merely slow the car down to realize that there is no need to get out of the car? That is what much of the Ultimate Garage Sale was like. Booth to booth, we simply walked past and tried to remain hopeful as we approached (and walked past) the next, and the next. Given that we had never been, you still have to go. As you never know what might turn up. Well, now we do know what might turn up… Or, more accurately, what might NOT turn up. 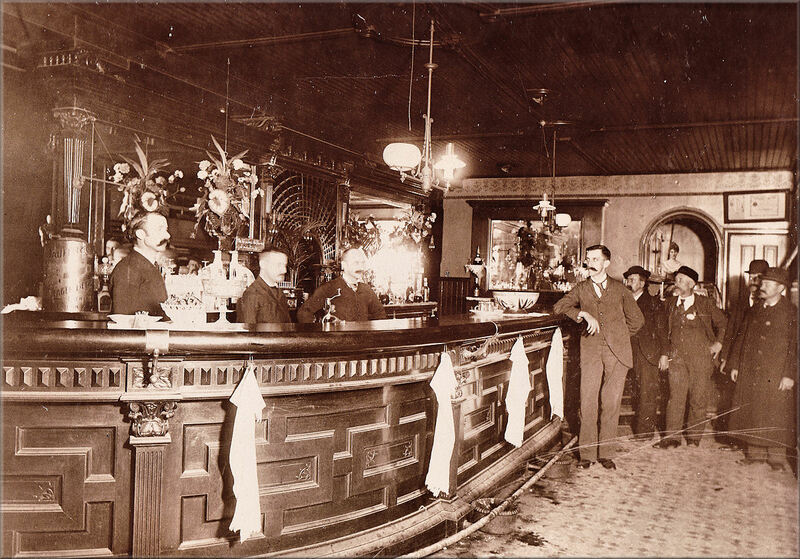 There were indeed a couple of booths that did have antiques…but no corkscrews. 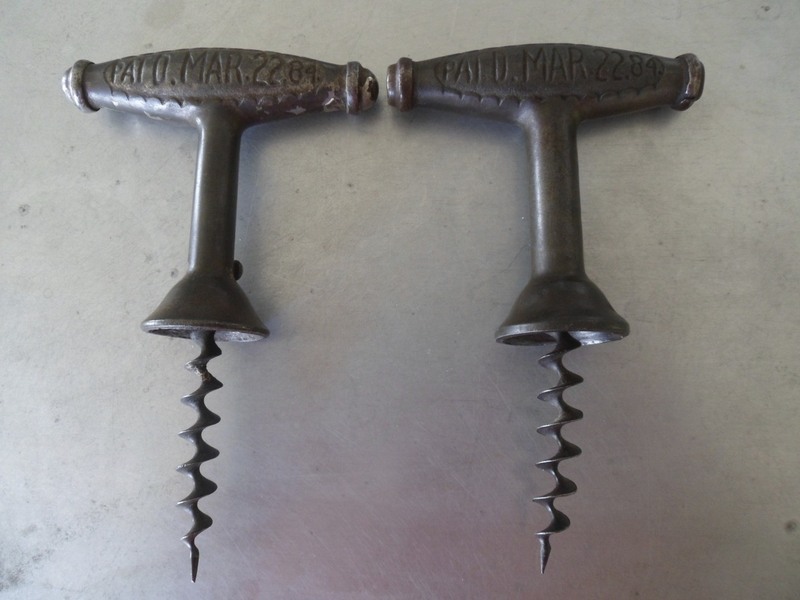 Okay, two corkscrews, but neither worth buying. A broken Williamson and one of those jigger/gavel looking things. Still, the ride back and forth on the boat, and up and down the coast, was fabulous–and a pretty fantastic way to spend an afternoon!